Have you ever noticed how the car parks at Harbour Town are always full? The shopping complex does a roaring trade and many people come here to find a bargain. Of course, after a few hours shopping, you start to feel a bit peckish. Have no fear, The Wooden Spoon has you covered! 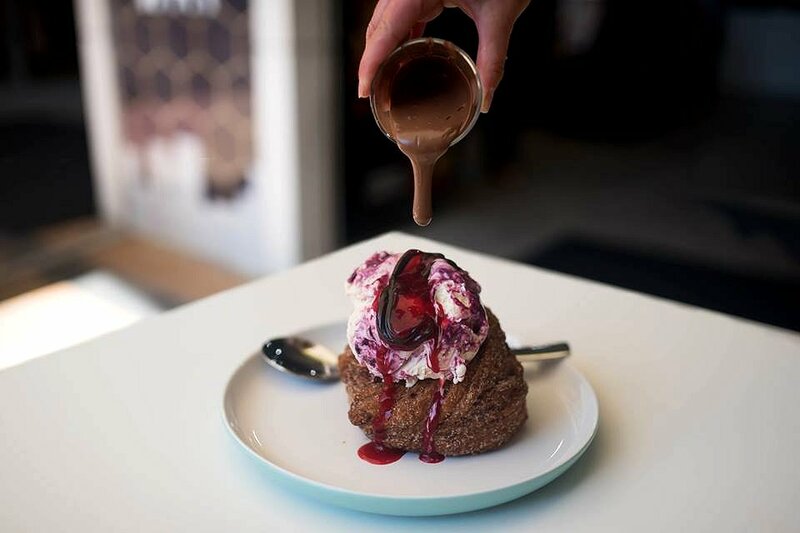 Located right in the heart of Harbour Town is a new open cafe that primarily specialises in desserts. There are assorted quality ice creams, epic shakes, milkshakes, thickshakes, dessert plates, waffles and an assortment of small sweets. There are also some savoury options if you don’t require the sugar hit. 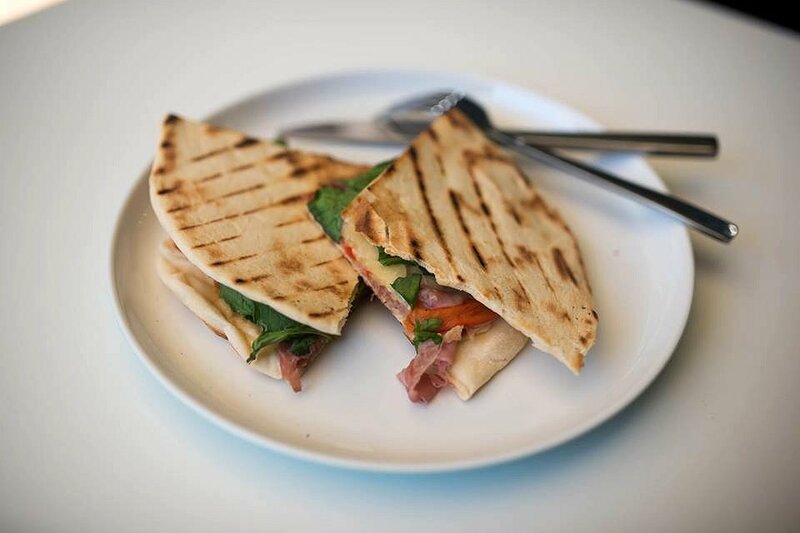 We started off the Piadina with pastrami, capsicum, cheese and rocket. The thin Italian flatbread was folded and lightly grilled on both sides. It was thin and crisp, almost like a cracker. The rocket was fresh and crisp, and the natural sweetness of the capsicum was balanced by the saltiness of the pastrami. Generous amounts of cheese was applied, holding everything together. Let’s not kid ourselves as to why we’re really here. The cafe specialises in desserts so let’s put them to the test. First up was Little Miss K’s Lava Mountain; An Italian donut with berry ice cream, berry coulie, chocolate fudge and pure warm milk chocolate. The donut is coated in cinammon sugar, crispy on the outside, and light and airy in the centre. The sweetness mainly comes from the berry flavoured ice cream and coulie, and the taste reminded me of an upmarket jam donut. The warm milk chocolate adds a temperature contrast to the dessert, and all the elements work spectacularly well. On a sugar high, we washed the first dessert down with the Overload Epic Shake. 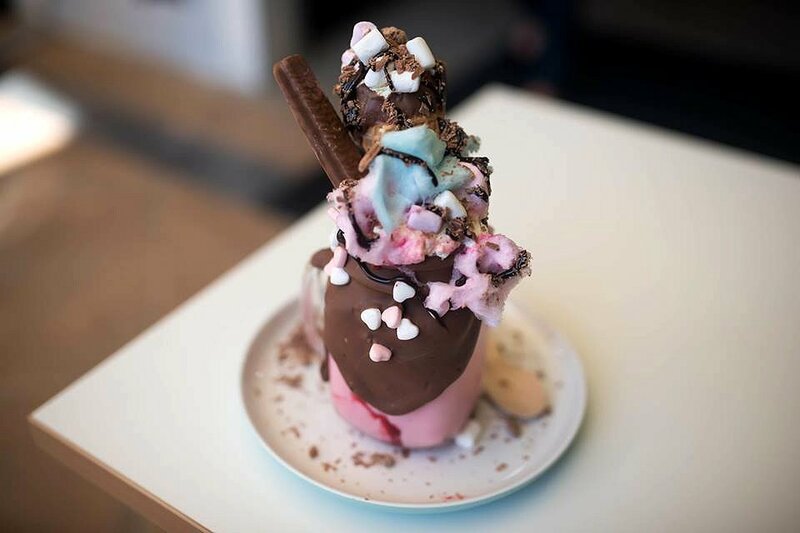 This is a strawberry shake with a waffle cone, fairy floss, biscuits, marshmallows and chocolate surprise. Apart from the beautiful presentation, this epic shake has all my favourite sweets in the one place. The fairy floss and marshmallows are great to nibble on, while the waffle cone and biscuits add a crunchy texture to the shake. When you get down into the jar, you’ll be amazed to find the shake actually tastes like strawberry and not just milk! Impressed and satisfied! 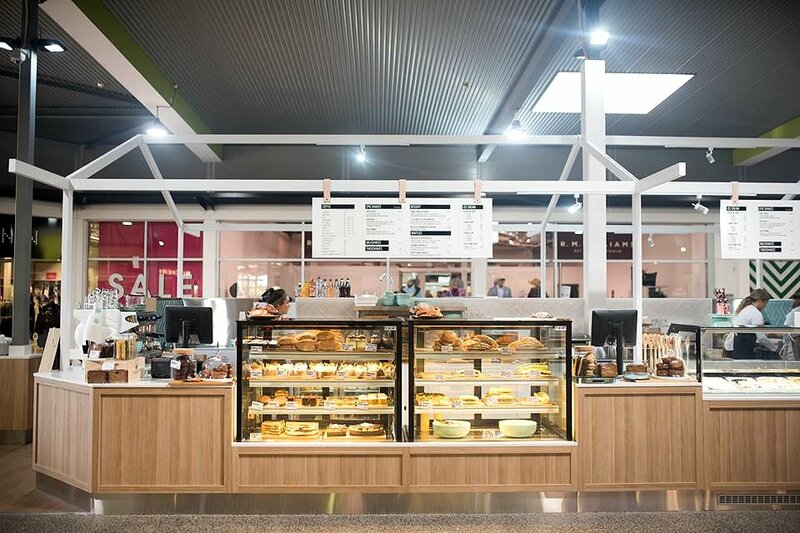 The Wooden Spoon is a much needed place in the Harbour Town shopping complex. The staff are friendly and the service is fast and efficient. The menu has been well thought out, and the food is made from the best quality ingredients, and more importantly, tastes great too. The desserts are around the $14-15 mark which is quite reasonable when you compare it to other places. The whole space is undercover, and is a perfect place to sit back and relax after a long days shopping. The grand opening of The Wooden Spoon is over two days on the 3rd and 4th of September. Make sure you pay them a visit and get yourself some free ice cream between 11am and noon on each day. There is limit of one scoop of ice cream per person.